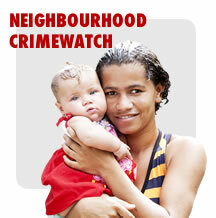 Crime Stoppers Trinidad and Tobago has launched a campaign “Be A Crime Stopper”. The drive seeks to encourage the ordinary citizen to actively participate in crime fighting by using the effective and safe facility of Crime Stoppers. Knowing that organized criminal activity is normally planned in advanced with co-conspirators, members of the public may therefore have information before a crime occurs. The campaign therefore pushes the citizen who has witnessed a crime or thinks that some kind of criminal activity is being planned to boldly contact Crime Stoppers. This is one of the ways criminal activity can be reduced in our country. Crime Stoppers with its tremendous track record provides this opportunity for every citizen to “Be A Crime Stopper”. Look out for our ads, billboards, videos and posters in your community. You can also invite us to visit your community group to share about our programme so you have a better understanding of how we work. “Be A Crime Stopper” Call 800-TIPS or submit your tip here.